Growing up in a small town in central England, Graham Holliday wasn’t keen on travel. But in his early twenties, he saw a picture of Ha Nội that sparked his curiosity and propelled him halfway across the globe. Graham didn’t want to be just a tourist in a foreign country, though; he was determined to live in it. An ordinary guy who liked trying interesting food, he moved to the capital city and embarked on a quest to find real Vietnamese food. In Eating Việt Nam, he chronicles his odyssey in this enticing, unfamiliar land infused with sublime smells and tastes. 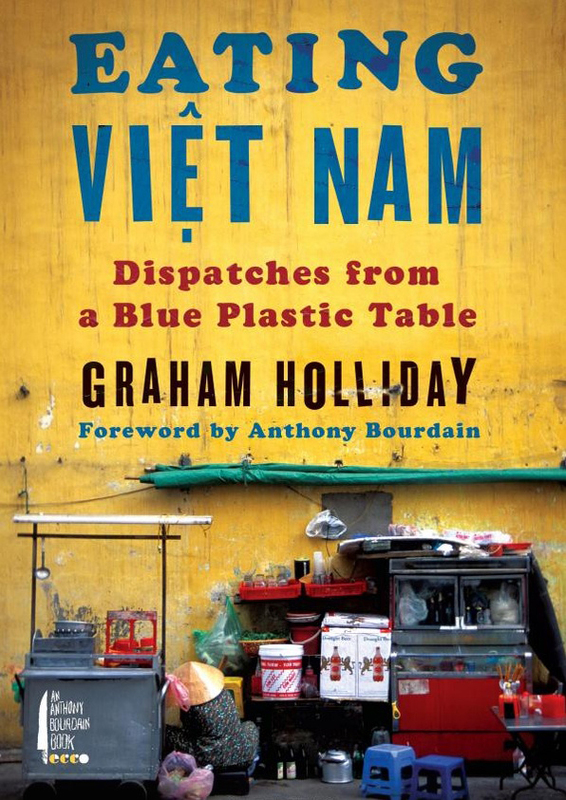 Traveling through the back alleys and across the boulevards of Ha Nội–where home cooks set up grills and stripped-down stands serve sumptuous fare on blue plastic furniture–he risked dysentery, giardia, and diarrhea to discover a culinary treasure trove that was truly unique. Graham shares every bite of the extraordinary fresh dishes–pungent and bursting with flavor–that he came to love in Ha Nội, Sai Gon, and the countryside. Here, too, are the remarkable people who became a part of his new life, including his wife, Sophie. Funny, charming, and always delicious, Eating Việt Nam will inspire armchair travelers, those with curious palates, and everyone itching for a taste of adventure. A unique combination of memoir, history, and travelogue, this is author David Downie’s irreverent quest to uncover why Paris is the world’s most romantic city–and has been for over 150 years. But the city’s allure derives equally from hidden sources: querulous inhabitants, a bizarre culture of heroic negativity, and a rich historical past supplying enigmas, pleasures and challenges. Rarely do visitors suspect the glamor and chic and the carefree atmosphere of the City of Light grew from and still feed off the dark fountainheads of riot, rebellion, mayhem and melancholy–and the subversive literature, art and music of the Romantic Age. Weaving together his own with the lives and loves of Victor Hugo, Georges Sand, Charles Baudelaire, Balzac, Nadar and other great Romantics Downie delights in the city’s secular romantic pilgrimage sites asking, Why Paris, not Venice or Rome–the tap root of “romance”–or Berlin, Vienna and London–where the earliest Romantics built castles-in-the-air and sang odes to nightingales? Read “A Passion for Paris: Romanticism and Romance in the City of Light” and find out. For many, vacation time is right around the corner and the thought of the perfect getaway does not include being a victim of crime. While most vacations will go as planned, some will fall victim to petty theft: mainly purse snatching and pickpockets. Thieves target tourists because they are the ones with the money. In Barcelona alone, it is estimated almost 6,000 incidents happen daily–that is 1 out of every 4 tourists. So how do you protect yourself from becoming part of the pick-pocketing statistics? Here are 5 sure-fire ways to better your odds. 1) Wear a money belt – This is the most important thing you can do to lower the chances of being pick-pocketed. A money belt is worn under your clothing; this is where you keep your passport, extra credit cards and cash. Keep that day’s cash and a credit card in your day bag or wallet for easy access. You want to think of the money belt like a safe deposit box, and only get into your money belt when replenishing your wallet. When getting into your money belt, do it in a safe area like your hotel room, a bathroom stall or a changing room. 2) Do not put anything in your back pocket – The outline of a wallet in the back pocket is advertising to pickpockets to rob you, especially in crowded areas like metro platforms and escalators. Place your wallet in your front pocket and put an elastic band (like the rubber band that you find holding the broccoli in the grocery store) around your wallet. This will create friction in your pocket and make it just that harder for a thief to steal from you. 3) Valuables need to stay in your hotel room – Laptops, tablets and such are much safer in your hotel room than in the bottom of a bag on the streets. When leaving valuables in your room, put them away so as not to tempt the hotel staff. Better yet, leave them in a hotel safe or at the front desk. 4) Carry a purse or bag with the flap against your body – You want to cut down the number of entry points into your bag so thieves’ fingers have fewer places to wander. If your bag has a long strap, carry your bag across your body. Never keep important items in any outside pocket. 5) Get to know your new money before heading out – If you’re traveling out of the country you will be confronted with foreign money. Become familiar with the local currency before you hit the pavement. Pickpockets observe travelers shopping, and then later know exactly where to lift their wallets. Count your change and put it away right there and then, and don’t be rushed by cashiers. From the well-dressed businessman to the group of children with outstretched arms, it can be difficult to recognize a thief. But travelers can prevent the majority of common thefts by arming themselves with these 10 tips. Follow these time-tested tips and soon you will be enjoying your vacation and not worrying about pickpockets. Twelve years after Tim Moore toiled around the route of the Tour de France, he senses his achievement being undermined by the truth about ‘Horrid Lance’. His rash response is to take on a fearsome challenge from an age of untarnished heroes: the notorious 1914 Giro d’Italia. History’s most appalling bike race was an ordeal of 400-kilometer stages, filled with cataclysmic storms, roads strewn with nails, and even the loss of an eye by one competitor and it was all on a diet of raw eggs and red wine. 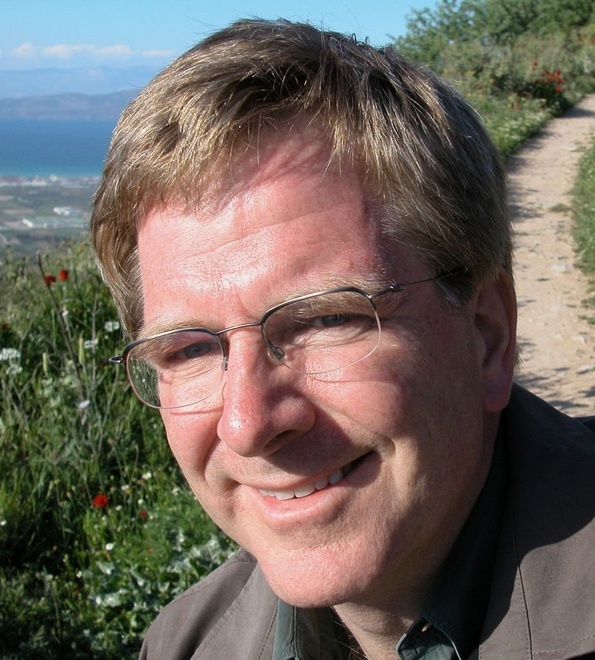 Just about any guidebook series will cover Europe…but none of them know Europe the way Rick Steves does. Giving people the tools they need to be smart travelers is Rick’s passion, and his guides help travelers see Europe with a minimum of “tourist trap” and a maximum of local flavor. Rick’s detailed country and city guides tell you what’s underappreciated and what’s overrated; give you succinct and thoughtful walking and museum tours; and fill you in on local favorites, including smaller hotels and restaurants. And don’t overlook his phrasebooks and background guides like Europe 101–they’ll take you beyond the treadmill of cathedrals and museums and turn seeing into understanding.